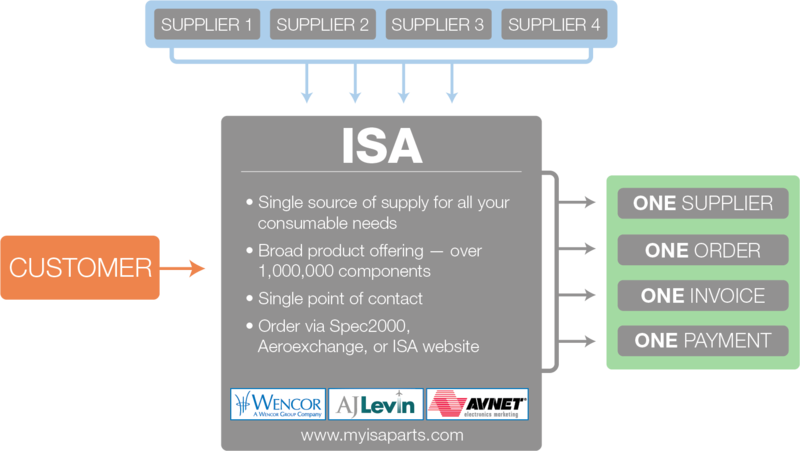 The Integrated Supplier Alliance (iSA) provides a single source for aircraft consumable products with direct ship capabilities from multiple suppliers. It provides over one million OEM and PMA parts. iSA saves customers time by decreasing the suppliers they need to manage and provides overhead savings through I-Stock and kitting. To learn more about iSA or create an account, visit their website. © 2016 Wencor Group. All rights reserved.